Grande Vegas Casino has promotions that cannot be missed! They provide a wide variety of deals that can benefit the player. Most visitors want to know about the welcome bonus offer. The player can more easily evaluate how the casino compares to other online casinos by examining this particular offer. While the Grande Vegas welcome bonus offer may not be spectacular, the cumulative offers clearly stand out from the rest. The promotions page highlights as many as twelve deals! The welcome bonus deal allows the player to deposit up to $100 and play with $200. It's a 100 % up to $100 deal (Coupon Code: 100MATCH). It is valid for a single first deposit only. 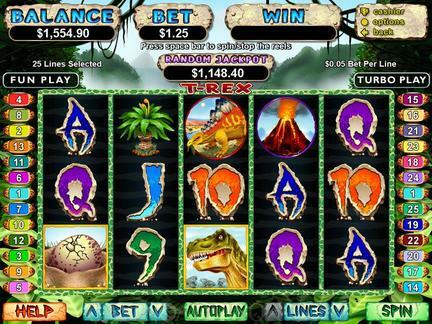 In order to claim the bonus, the player must use the instant play version of the casino or download the software package. Next, the player is asked open a real money account on the website. The coupon can be redeemed at the cashier by entering the provided code. The casino currently allows the tournament player to take advantage of two special bonuses. There is a $200 reward associated with the offer. Fifty free spins are also part of the promotion. There is a minimum amount for the 100 % bonus, mainly $50. The Happy Monday deal is yet another attraction here. The player can start each week with a nice deposit bonus that reaches up to $100. This is a 25 % deposit bonus up to $100. In concrete terms, a deposit of $400 can turn into $500 for games. Furthermore, the player can accumulate what are known as "Comp points". Every bet at the casino leads to the accumulation of such points. Later, it is possible to redeem them at the cashier. The casino maintains that it has a right to reject registrations from certain U.S. states/regions including; New York, Kentucky, Washington State, Maryland, New Jersey, Louisiana and Missouri. An exemption to bonus redemption also applies to the following locations; Poland, Greece, Sweden, Russia, United Kingdom, Romania, Bulgaria, Portugal and Mauritius. The restrictions do not apply to other locations around the globe. The casino receives hits from international players. When the game section is opened on the Grande Vegas Casino website, it is easy to become overwhelmed. After all, the massive selection of games makes it somewhat difficult to focus on a specific title. However it is also a privilege to have so many choices at a single website. There are multiple game categories that can be found here. The games belonging to the table game category are as follows; Baccarat, Blackjack, Perfect Pairs, Face Up 21, Red Dog, Super 21, Caribbean Stud Poker, European Blackjack, etc. The player can also check out the following games in the slots section; Aztec's Treasure, Aztec's Millions, Achilles, Bank On It, Diamond Mine, High Rollers, Jumping Beans, Dream Run, Basketbull. Each of the games receives plenty of traffic on the website. They tend to be popular. A current winners list is visible on the main site. The name of the winner is also shared. It is clear that the list of jackpot winners continues to expand. Usually, the winnings are in the couple of hundred dollar range. RTG-based casinos have been instrumental in bringing jackpot winnings to the masses. A complaint about the customer service has appeared on a forum. However, it appears to be an isolated case (it has probably been resolved), as the reviews are evaluating the customer support in a positive manner. The casino is owned and operated by Tigress Management. It has received its registration from the government of the British Virgin Islands. The casino was started in 2009. The casino has the best combination of games and promotions. The games are fun to play. There is a tremendous variety of game titles on the site!